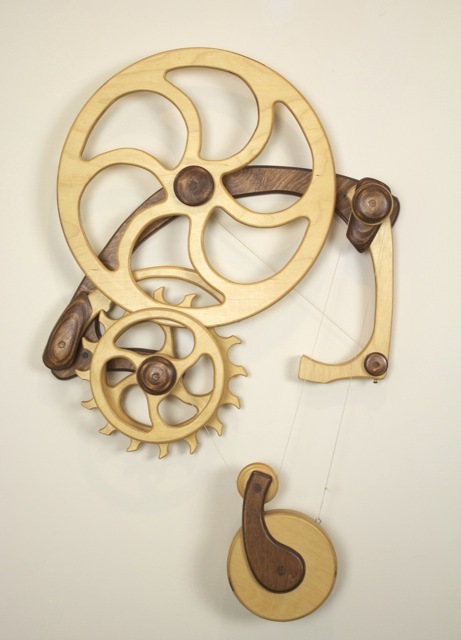 Inventor Released is my first successful wall mounted kinetic sculpture. It is a simple piece producing a simple, repeating motion but it opened the door to a 30+ year career designing and building kinetic sculptures. Read this blog post for added information about Inventor Releaed.